Power consumption is something that you should be aware of with regards to processors as someone is going to be paying the electric bill. The processors that we have tested have a wide range of TDPs that you can find in the bullet list below. Let’s see how much power our test systems are pulling from the wall outlet! We really don’t like our load power numbers as it turns out that we picked really poor load tests to look at. For example, Handbrake only supports up to 32-cores and in ‘Game Mode’ only 1/4 of the 2990WX cores are available for use. This means none of our load numbers are actually showing full load results on the 2990WX. 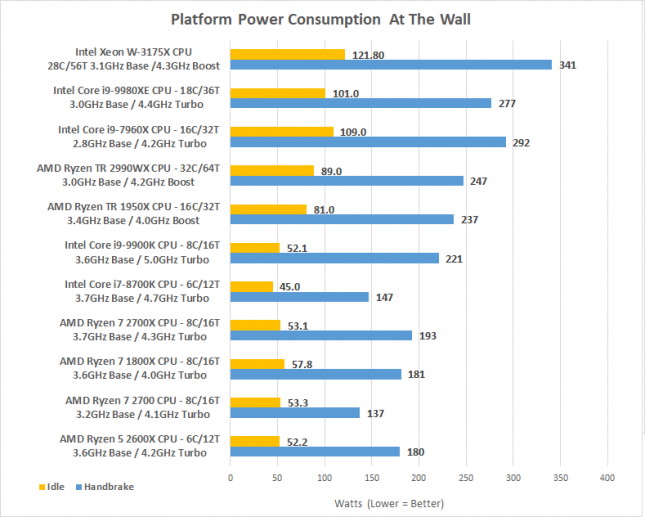 We’ll be going back and using Blender for our CPU load tests to get a true look at 100% CPU load power numbers. 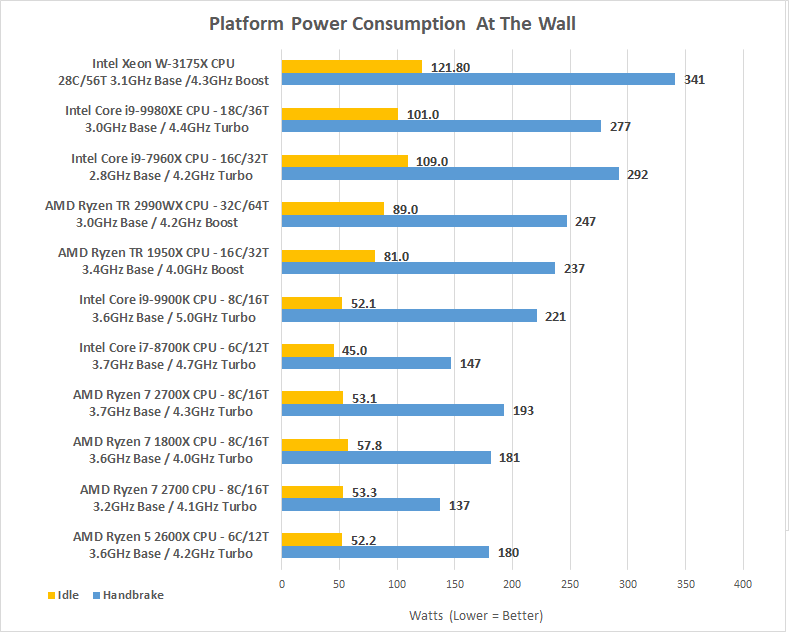 The Intel Xeon W-3175X used the most power of any processor on these tests, but we expected it to use the most of any Intel processor since it has the highest TDP rating of any of the CPUs tested. 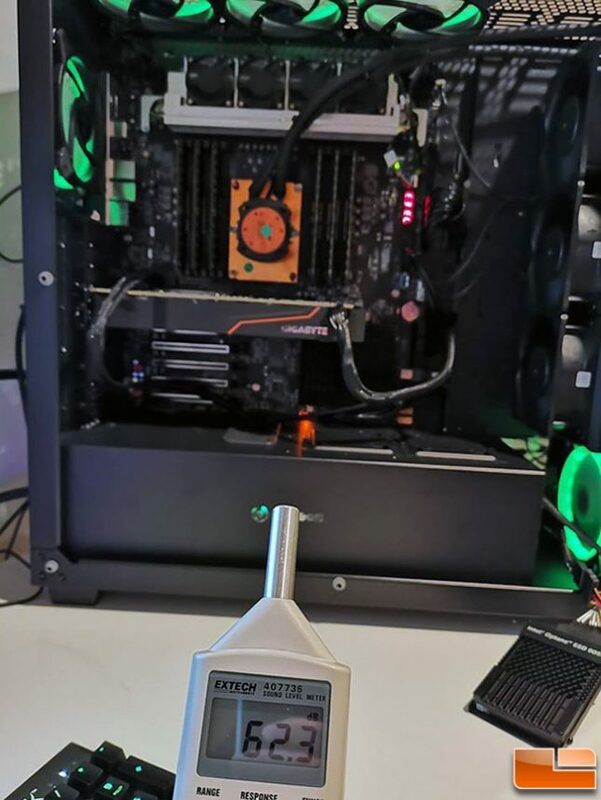 When it comes to noise levels you have to remember that this is a case with 14 fans and three of them are Delta 120mm fans that many enthusiasts refer to as ‘Delta Screamers’ among other things. Our sound level meter showed that we were at 62.3 dB about 18-inches from the case with the meter pointed at mostly an upward angle. The ambient room noise level is around 33 dB. 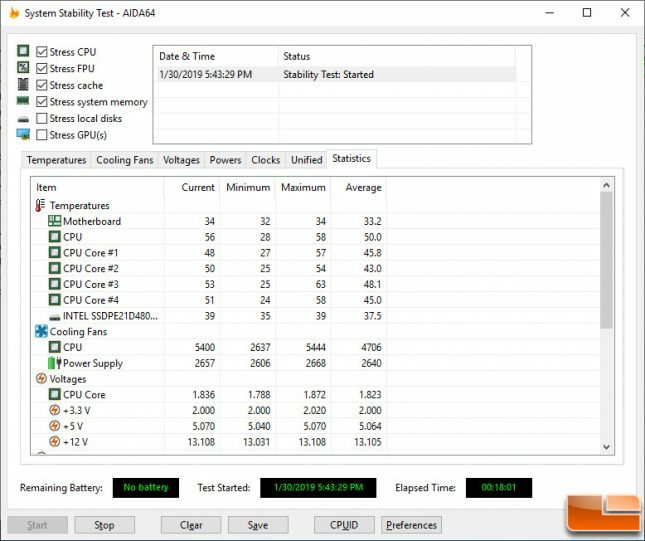 Firing up the standard AIDA64 stress test increased the fan speed and that put the noise level up to around 68.4 dB. This is most certainly a workstation and not a gaming PC where one desires silence when not gaming! When it comes to temperatures we were getting 28C at idle and when running the AIDA64 stress test for just shy of 20 minutes we got up to 58C. 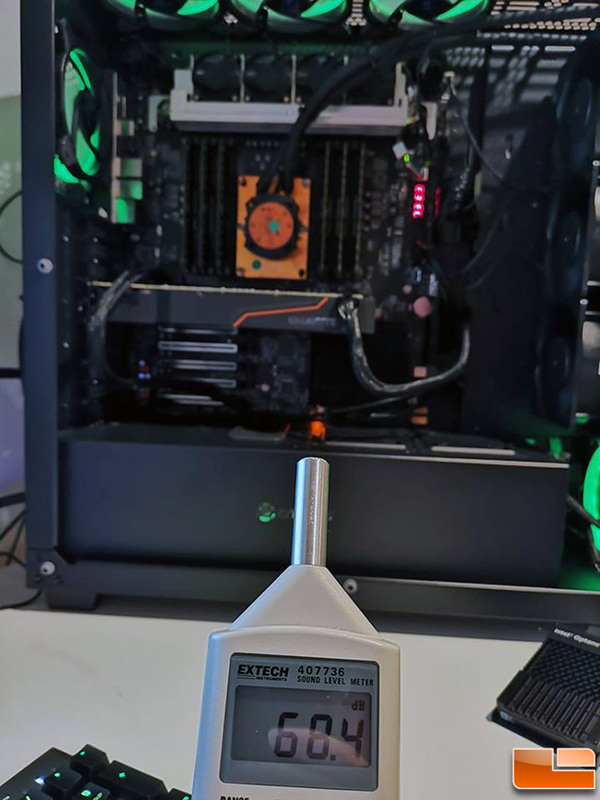 The 3175X starts to throttle around 84C, so we are well below that with the Asetek 690LX-PN Liquid Cooler at stock speeds.